Online marketing and User Experience practitioners are quite popular job titles these days. 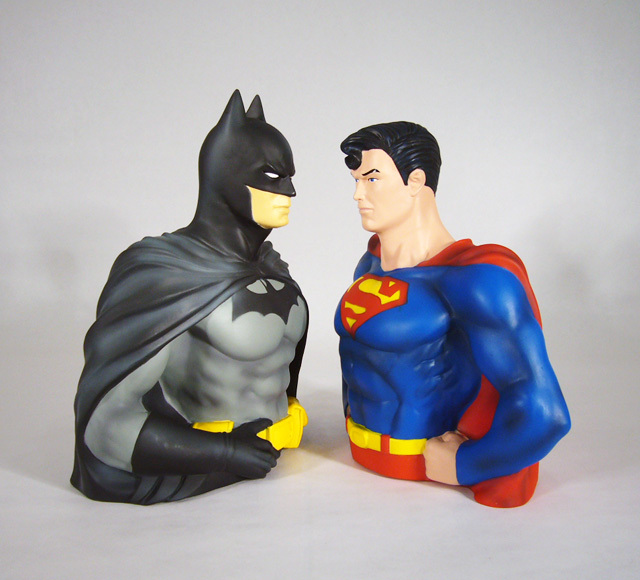 They seem to act like two superheroes who want to make the world better but remain at odds when it comes to the details. Would they act together if they knew how marvelous effects their collaboration can bring? Online marketing is mainly associated with increasing sales and frequency, or building engagement; while user experience is thought to be concerned with usability, observation and transparency. This oversimplification causes many problems with communication between the UX and online marketing practitioners. Here are 7 questions that every UX and online marketing practitioner should ask himself before creating a service or campaign. Let’s see if they differ much. What my system is about? How people will interact with it? What content will you provide? How is life different with this service? Will your app make your users’ lives easier, in what ways? What are all of the user’s touchpoints with your system? What is the main objective of my system or campaign? How will I achieve this goal (creative part)? Who do I create my system / campaign for? How to increase engagement with the service / campaign? How will I measure the ROI and engagement? 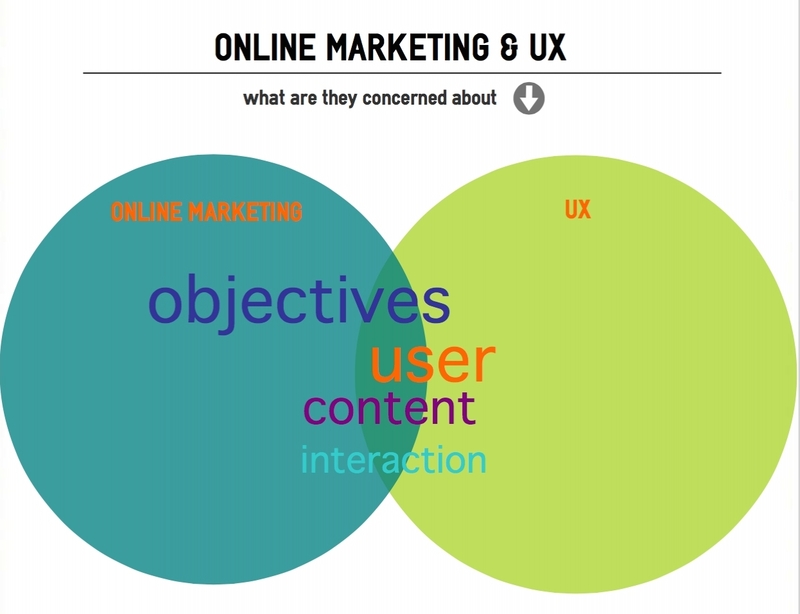 As we can see ux and online marketing practitioners are concerned with similar issues i.e.objectives of the system or campaign, user, content, interaction. It seems like they should be getting on the same page. The fact that UX practitioner is more preoccupied with the user and online marketer with marketing objectives of the system or campaign is a sticking point in their relationship. However, a skilled online marketing professional shouldn’t overlook its user, just like a skilled UX professional shouldn’t miss the main objective of the system. The relationship between online marketing and UX is getting closer each day. This connection is visible especially in the companies who don’t have distinct UX department. At the moment, I work in the company where online marketing team considers both: the marketing objectives and usability. First, we analyze the main objectives of the project, then we seek ways to meet these goals (brainstorming) and then we prototype. After this stage, the UX and graphic designer gives his feedback to the prototype and starts working on the project. This simplified description doesn’t include such crucial elements as a kick off meeting with programmers, front-end developers and your (internal or external) client, because I wanted to present the collaboration between the online marketing practitioner and the graphic and ux designer. UX practitioners often forget that the origins of UX research derive from marketing research techniques. Interviews, focus groups, contextual inquiries, diary studies, usability testing (product testing) are the qualitative marketing research methods. The analysis of collected data doesn’t differ that much either. Great examples of a good relationship between UX and online marketing is Nike+ running app. This user-centered mobile application is a perfect mix of UX design and marketing communication. The app is very intuitive and gives an „intermediate runner” (it’s a great app for +/- <15K distance runners) all he or she needs for their training. The app incorporates a great deal of branding along the way from the logo on each site to the social share where the user can share his progress. You can tell, the UX team had to adapt marketing objectives to increase cognitive load when working on it. Online marketing team on the other hand, had to learn more about the real needs of the user and confront it with marketing objectives. With all that in mind, it’s worth giving online marketing and UX a shot and see how they can collaborate together to create better Customer Experience. Why Have CRM, 1:1 Marketing, and Customer Experience Failed?